These assorted paper mache Day Of The Dead skeletons are created and painted by hand by the folk artists of Mexico. 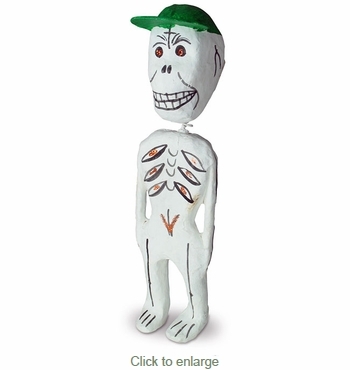 They are perfect for your Dia de los Muertos celebration. Expect variations in position, type of hat and colors.